Cute clothes are something I have a major weakness for and unfortunately lots of the ones I find that I really like have a price tag that isn’t quite as appealing. While I do my best to find more affordable pieces sometimes that takes some hunting. 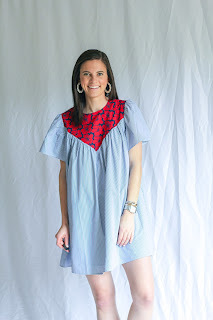 Boutiques can be a great place to start on that hunt, but so often I have to scroll through pieces I don’t love to discover one or two things I could actually see myself wearing. That was until I discovered Shop Minette. 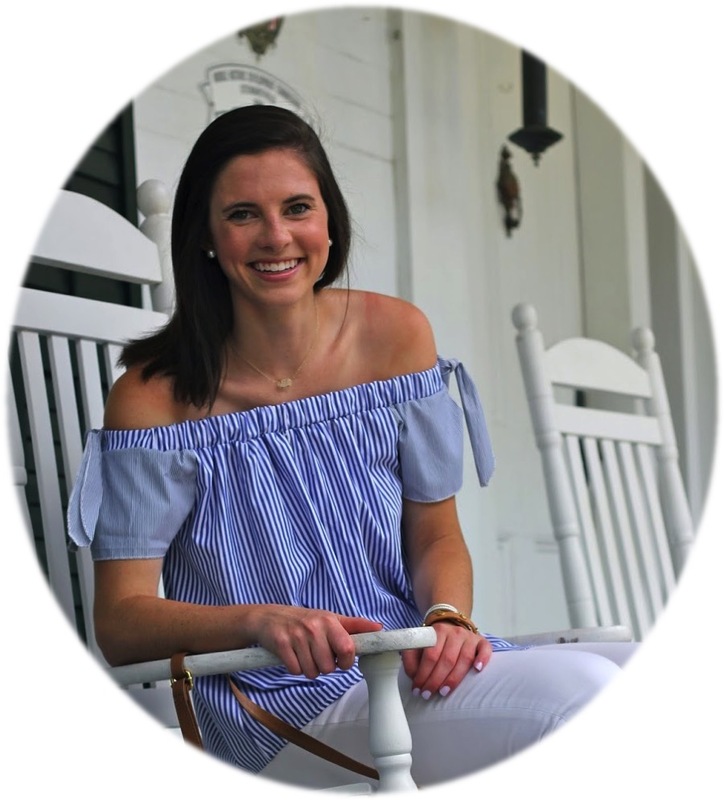 Shop Minette was started by Erin during the time that she decided to stay at home with her baby girl. Like me, Erin loves to have something to do and finds it hard to sit back and do nothing which led her to fulfill her lifelong dream of owning her own boutique. Minette was named to honor her mother, possessing her mother's maiden name. Erin has such an eye for cute pieces and is drawn to clean, and classic looks that embody a simple yet chic style. 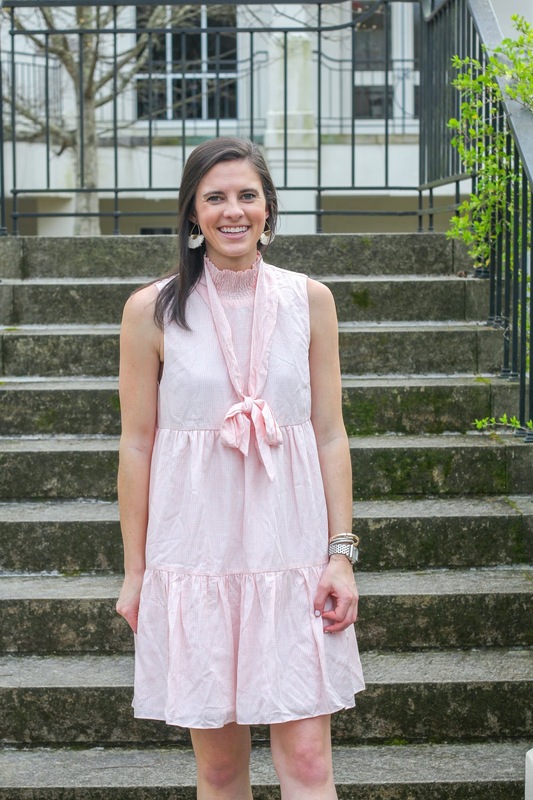 Since I live in Birmingham and the owner Erin (who is so sweet and stylish) reached out to me, I got to venture into her office to check out the cute clothing she lists in person. When I told my roommate about how excited I was to do this and had her scroll through the shop’s Instagram her reaction was that everything was exactly my style. She couldn’t have been more accurate with that statement since I could easily see myself purchasing anything (and everything if we are being honest) on the site. 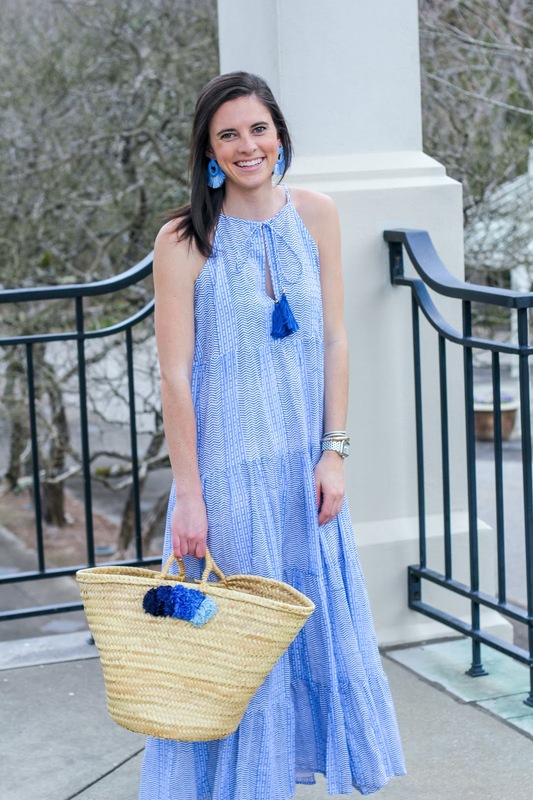 Since the owner is taller than I am, I love how conscious she is about the lengths of the items she purchases for the boutique. I got to take some of the pieces home to try on and keep, and I’m so excited to share them with y’all. 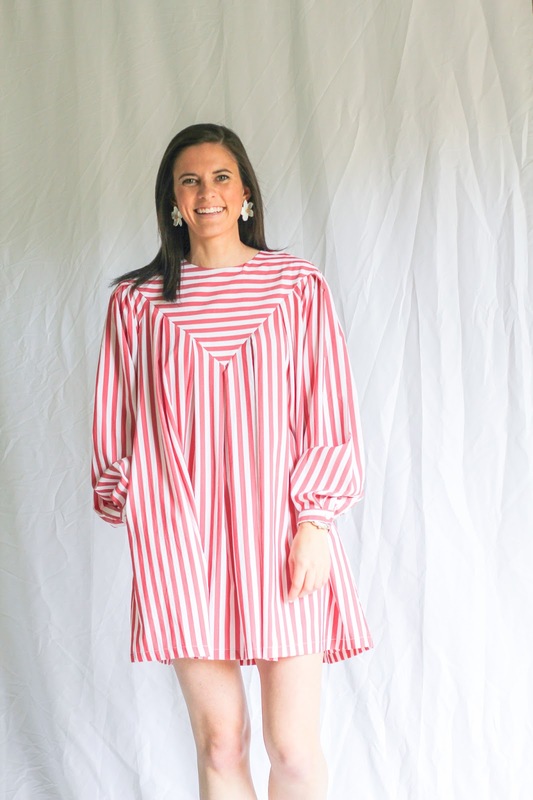 She has new pieces coming in all the time so if you happen across one of these items you love then be sure to scroll through the new arrivals as well since something will surely catch your eye. The best part about these pieces is that they are affordable for the quality they are. You’ll be seeing me in lots of clothes from this store in the coming months! 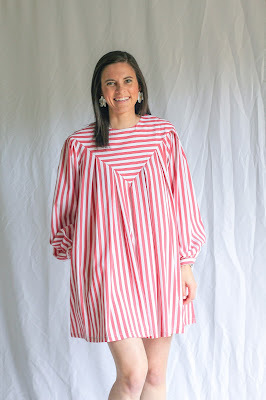 I am sharing some items that aren't yet online so that I can give a size reference for you to be ready to shop once they are live. Now all I need is a place to wear all these cute things. 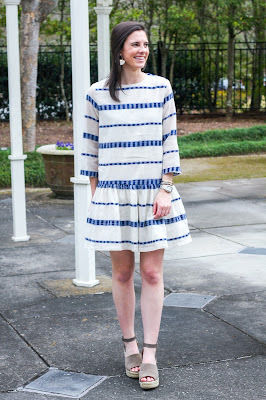 Although this dress isn't online just yet, it was one of my favorite things I tried on. I am wearing a small but an extra small would probably have fit as well. 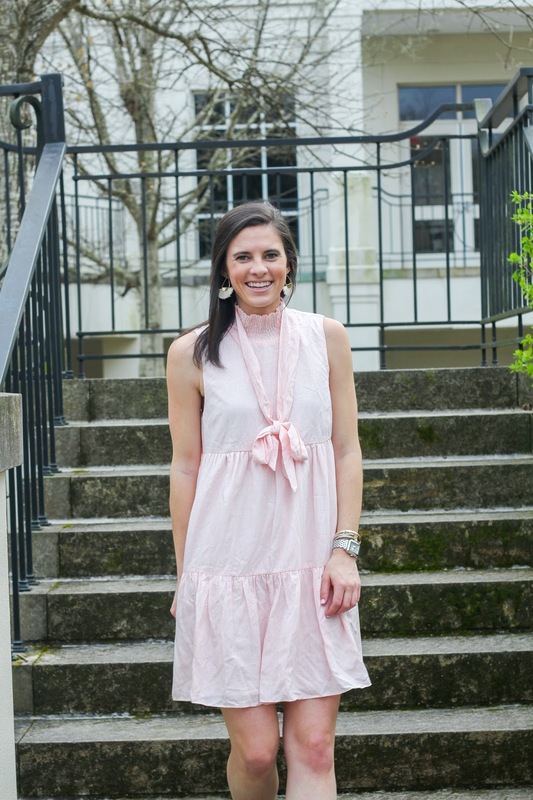 This dress is fully lined making it perfect to wear as a cover up or dressed up for shopping and dinner. 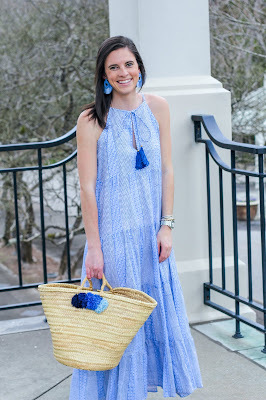 I paired it with these fun blue earrings ($28) and tan sandals in my normal size 8 ($28). The bag is one I've had that I shared a DIY for ages ago (here). 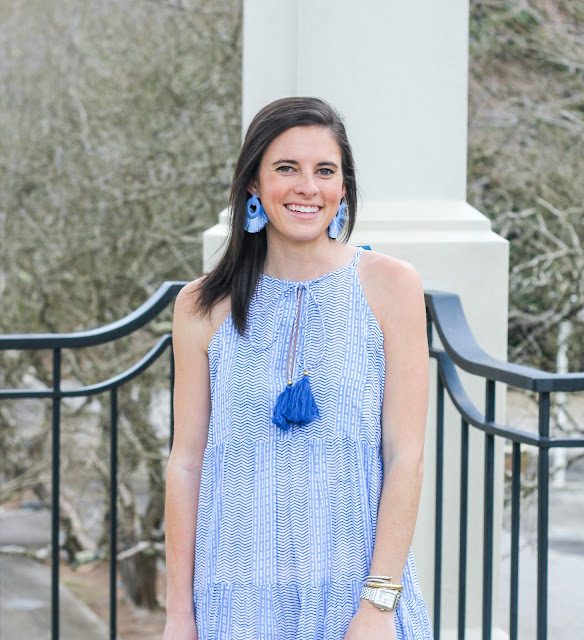 Y'all know I love anything blue and white with a peplum or drop waist hem. 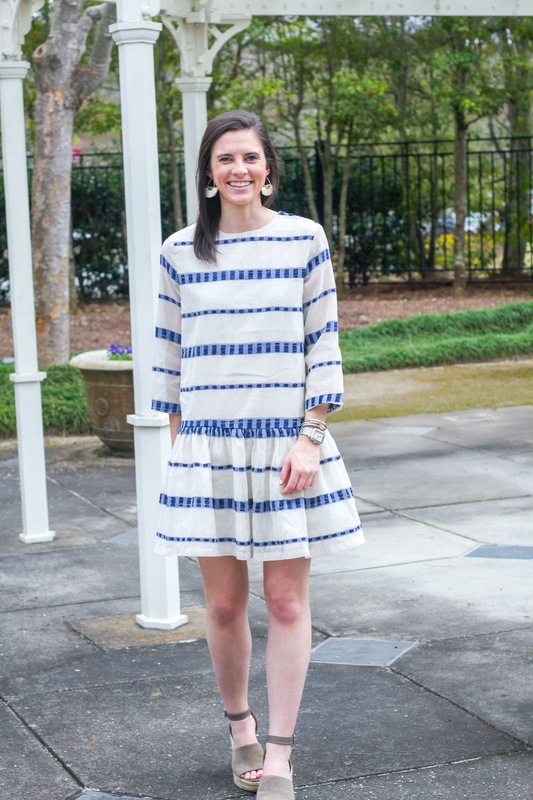 This dress ($68) combined those two loves perfectly and is fully lined. The sleeves are sheer which is a fun touch and the length is long enough for me to wear it to work or church. 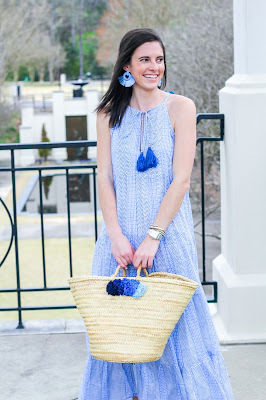 I found that the dress runs true to size, I'm wearing a small, and it looks adorable dressed up with wedges and the Raffia Fan Earrings ($18) also available on the site. 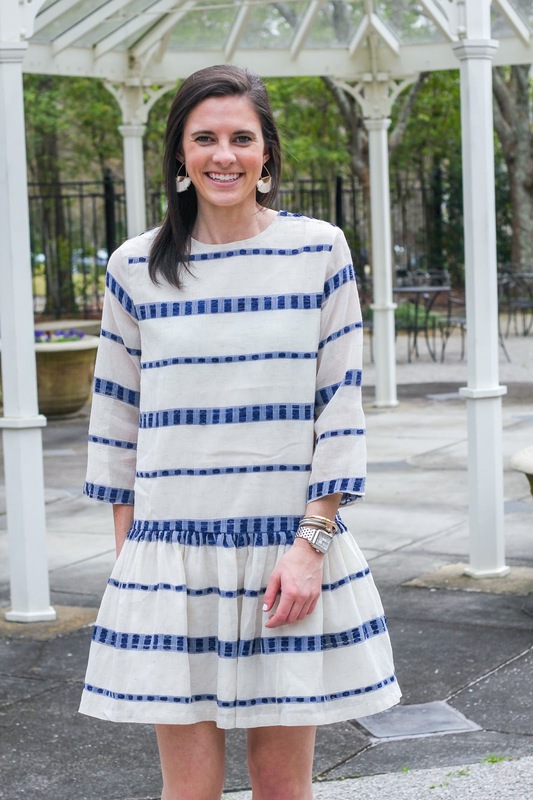 The silhouette of this dress ($68) isn't like one I've seen before meaning that it's unlikely that you'll match a friend when you wear this out and about. I love that the pale pink color is pink enough to not feel like it washes me out and the slight gingham pattern makes this dress even cuter. The tie can be tied closer to your neck if you'd like or can even be left untied. 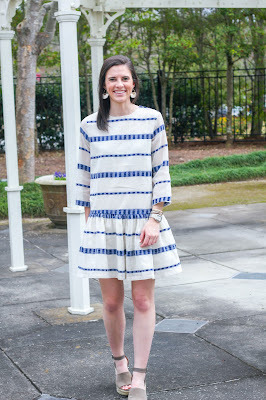 Another win is that this dress is completely lined and is a decent length! I am wearing it in a small paired with the same Raffia Fan Earrings ($18) as above. 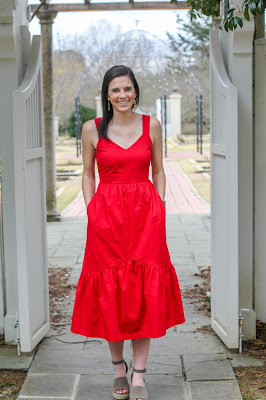 The next two dresses aren't online just yet but I couldn't resist sharing them anyway. 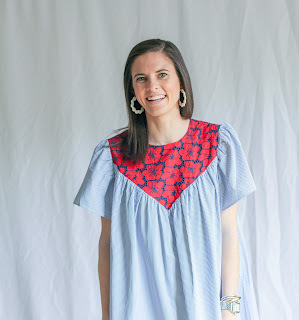 They scream summer to me and would be cute to bring along on a beach vacation while also being the perfect colors to wear on the Fourth of July. 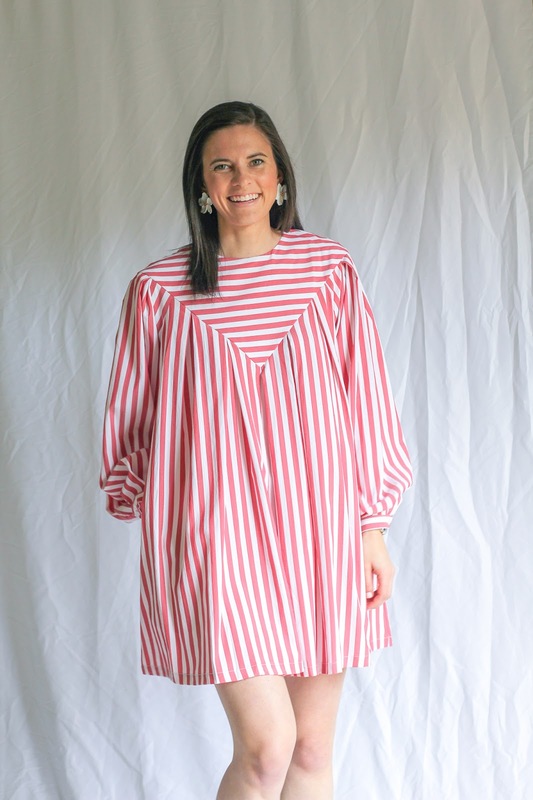 I am wearing both of these in an extra small given their flow nature but if you want a little more length then you may want to size up. 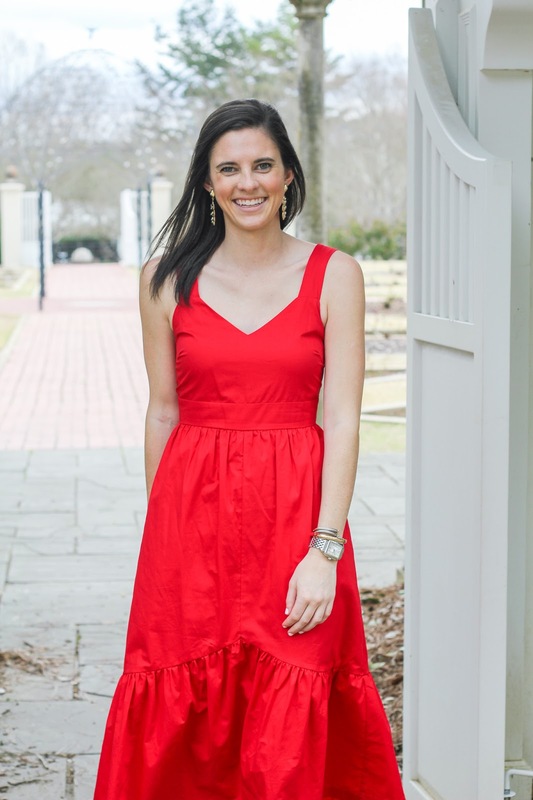 Last, but not least, this red dress isn't online just yet but was too perfect not to go ahead and share. I found that the extra small fit me better in this fully lined midi dress. 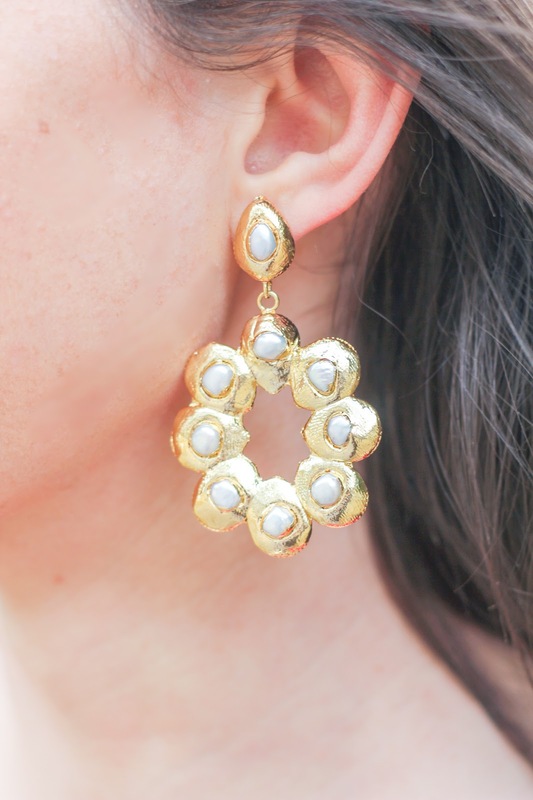 While it looks cute styled with sandals, I loved the way it looked with these Freshwater Pearl Drop Earrings ($42). Red isn't a color I typically gravitate to but with pockets and a drop waist hem it was an easy sell! I'm planning to share another try on haul tonight on Instagram including these pieces and a few others so be sure you're following along there (@prepinyourstep) for more details about each of these pieces!